When it comes to 'barcode software' there is alot to cover. So what do you need to know about barcode software? Well that will depend on the type of barcode scanner or barcode printer you are implementing. Scanning barcodes into an existing PC or mainframe application is rather simple. Simply connect your corded (or cordless) barcode scanner to the USB port and start scanning. The barcode data from the barcode scanner appears as keystrokes to the software application. So for many simple data entry applications such as point of sale, file or document tracking adding barcode scanning takes as long as it does to unpack the barcode scanner. However, when it comes to mobile computers it is not as simple as unpacking the portable data terminal. Typically most mobile computers don't come with any applications such as stock taking, asset tracking or inventory management on them. You need to find something off the shelf or develop your own (either in house or get someone to write something for you). If you have a mainframe system such as SAP, Pronto, Baan, JD Edwards etc in those cases you should buy a mobile computer that comes with the VT100, VT220 or TN5250/TN3270 telnet emulation software already pre-loaded. In this case the mobile computer will provide similar functionality albeit on a smaller screen, just like the telnet session on your PC. If you want to collect data in batch mode and download the file to your PC, to import later into your application you will need to find some off the shelf software to suit your needs or get something written. We have a range of pre-written batch applications for the Motorola MC50/MC55, MC70/MC75, MC3000/MC3090 and MC9000/MC9090 Series scanners. Applications include simple data collection for stock taking, goods in, goods out and asset tracking. Over the last two years we have moved away from supporting batch applications and have built wireless solutions that work in real time over the internet. Called 'Software As A Service' or SaaS for short. SaaS solutions are quicker and easier to implement and provide data in real time anywhere. This stocktake software solution uses the power of the internet coupled with a wireless LAN in your office or warehouse and Motorola mobile computers. Using a web browser you can log onto stocktakes online, import your product master file and bin locations, use mobile computers to scan your stock and then view variance reports online in real time. At the end of the stocktake you can export your data to Excel or CSV and ultimately, if you accounting package allows, import the count data to update that accounting system. This is our online inventory management solution. It is designed to give small business the power to manage their inventory in real time without the huge price tag of a fully blown mainframe system. STS runs in parallel with your accounting system. STS allows you to scan goods coming in, put them away into bin locations. Move stock from bin to bin as needed. Finally move stock out to a sale. So long as you use the mobile computer (in real time) your inventory should always be up to date. You can scan a bin location to see what should be there. You can scan a product to see all the bins it should be in. More importantly you can print labels as you need them to either a Bluetooth or Wi-fi label printer, such as the Zebra QL420 or Zebra P4T thermal transfer label printer. 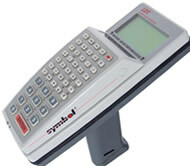 Or to an ethernet desktop barcode label printer such as the Zebra TLP2844Z or Zebra ZM400. 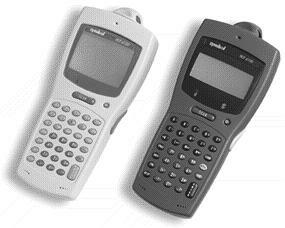 One half of the STS solution is the mobile application written for the MC range of mobile computers from Motorola. The other half is the browser based front end available on any PC connected to the internet. Both STO and STS are available online right now - with nothing to install or download (except the mobile application for the mobile computer). You can import your own data and trial it for free. If you have a stocktake coming up or want to start managing your inventory better, contact us now so we can help get you set up. 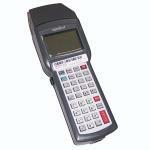 Barcode Datalink specialises in writing custom written mobile data collection applications for Pocket PC, Windows Mobile 5.0/6.0 and Windows CE5 hand helds from Symbol (Motorola), Datalogic and Pidion (since we have all of these units in stock). 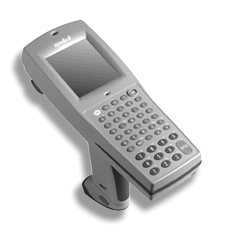 Our mobile applications will also run on Intermec, Cipherlab or any device that has a Windows operating system on it. Most applications are in batch mode. Data can be exported to a CSV file for importing into your host system. Or we can 'push' it back over the internet to an SQL database. We have a range of applications already written for Stock taking, asset tracking, goods in, goods out, transfer and movements, mobile label printing via Bluetooth. We can supply these as is or tailor them to suit your business rules. Software is available for trial with expiration or record limits until a full license is purchased. Nothing is too difficult and all software for Motorola devices is guaranteed to work on the latest devices. To make our applications even more useful we can print to wireless or Bluetooth label/receipt printers. We specialise in printing to any Zebra barcode printer but can cater for Intermec, Sato or Datamax models. A final point is that we can also integrate any RS-232 device into the solution, such as a weigh scale. So data from the serial device can be captured into the mobile device without the user having to key the data in. Check out our 'Fruit Picking' case study under the 'Case Studies' heading for more ideas on how we can help you with an integrated mobile data capture solution. If you do have this equipment, or buy second hand scanners and require an application for one of the above terminals, we can still customise an existing application to suit you or write something new. To make uploading and downloading files easy we have a Windows based application that works with the Symbol PDT/LDT scanners so you don't have to work in DOS. When it comes to barcode label printing solutions we have been doing this since 1991 and have experience with past and present barcode software applications. Our most popular package is by far BarTender. Available in Professional and Enterprise versions this software is very easy to use and packed with a lot of features. A free 30 day trial version is available from www.seagullscientific.com. If you need a telnet client for you mobile device we recommend Wavelink products. They are easy to download and install and offer all the features you would expect. Motorola 'gun' terminals come pre-licensed with Wavelink.